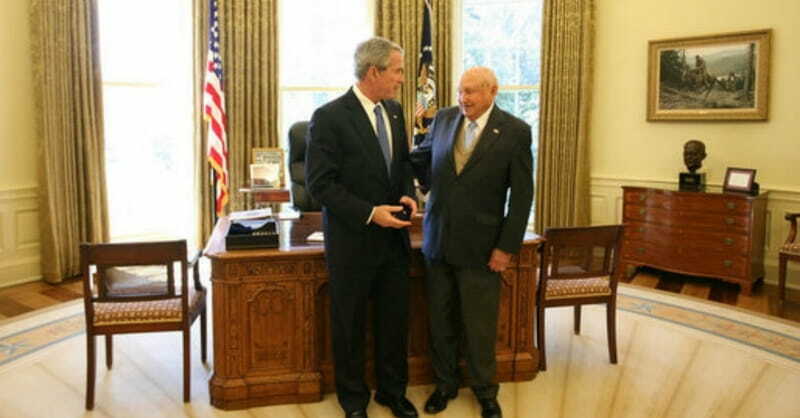 Truett Cathy, who passed away on September 8, 2014, is famous for founding the popular restaurant chain Chick-fil-A. Mr. Cathy was known for his strong work ethic and as a devoted Christian believer. 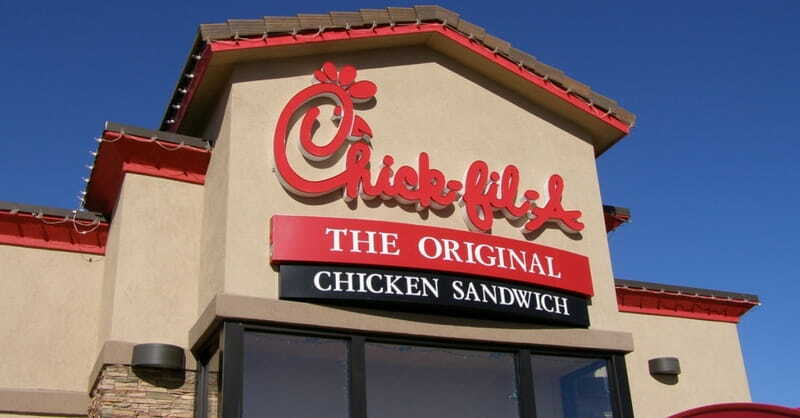 While Cathy’s 2012 comments in opposition to homosexual marriage created outrage within the LGBT community and prompted a boycott of the privately held Chick-fil-A restaurant chain, the restaurant owner was known for so much more. Here is more about his life, his values, and his vision for Chick-fil-A. Born March 14, 1921 in Eatonton, Georgia, Cathy’s parents named him Samuel after a pastor friend, and Truett in honor of the well-known Baptist evangelist George W. Truett. According to two autobiographies written in 1989 and 2002, Cathy’s father was a successful farmer. Due to a plague of boll weevil attacks on his cotton fields the farming business failed. At three-years-old, the family moved to Atlanta where Cathy’s father pursued a career in insurance sales, but was unable to earn a living selling insurance. During the depression years of the 1930s, the family struggled to survive, so they took in boarders in their one bathroom home to earn income. Renters slept two to three to a room and received two meals per day, all for only one dollar a day. In his 1989 autobiography entitled It's Easier to Succeed Than to Fail, explains that the hardships of his youth translated into blessings later in life. Cathy started the business in 1946, when he and his brother, Ben, opened an Atlanta diner known as The Dwarf Grill (later renamed The Dwarf House). The restaurant was open 24-hours a day, six days a week. But it closed on Sundays to give the brothers (and later employees) a day of rest combined with participation in church activities. Through the years, that restaurant prospered and led Cathy to further the success of his business. His uniquely created chicken sandwich would soon outperform the traditional hamburger. In 1967, Cathy founded and opened the first Chick-fil-A restaurant in Atlanta's Greenbriar Shopping Center. 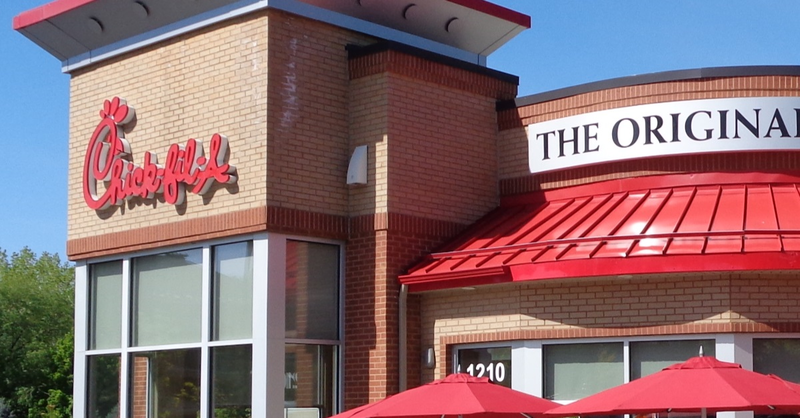 At the time of Cathy’s death, Chick-fil-A has the highest same-store sales and is the largest quick-service chicken restaurant chain in the United States based on annual system-wide sales. 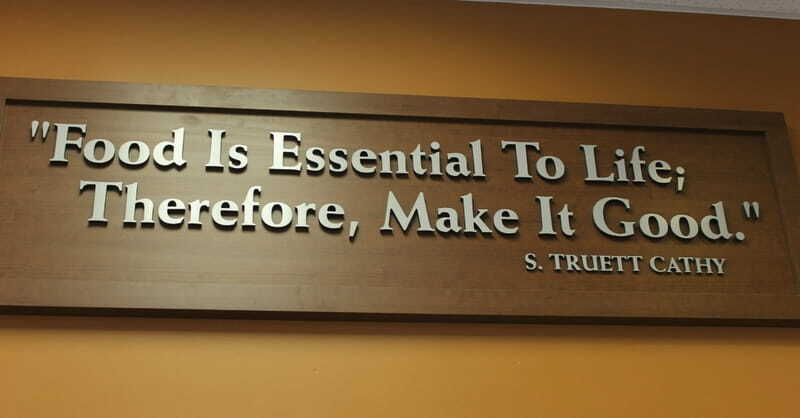 "When Truett created the Original Chick-fil-A Chicken Sandwich, he never knew it would feed millions of people a year, nor be credited as America's 'Tastiest Chicken Sandwich' by Consumer Reports. According to the company Chick-fil-A reports that it has given over $68 million in donations to education and charities since it’s founding. Cathy’s WinShape Foundation, founded in 1984, grew from his desire to "shape winners" by helping young people succeed in life through scholarships and other youth-support programs. The non-profit organization funds 13 foster homes, marriage counseling, a wilderness program, retreat getaways and youth camps. The foundation provides 120 students at Berry College (Rome, Georgia) with experiential training in leadership and community. In addition to the training, WinShape Foundation provides a $4,000 scholarship to these students enrolled at Berry College. Also, through its Leadership Scholarship Program, the Chick-fil-A chain has given more than $32 million in $1,000 scholarships to Chick-fil-A restaurant employees since 1973. This year, the company will award $1.75 million in scholarships to its restaurant team members. The chain has also taken its generosity to the gridiron. After its own namesake the Chick-fil-A Bowl— the classic college football match-up and longest-running rivalry between Atlantic Coast Conference (ACC) and Southeastern Conference (SEC) teams lead all bowls in charitable donations to a variety of charities, and has provided a record $7.4 million total payout to participating universities. While most fast food restaurants are open 7-days a week, Cathy laid the foundation of building his business on biblical principles early. Cathy made the decision to close on Sundays in 1946 when he opened his first restaurant in Hapeville, Georgia. Bean counters might say that was a poor business decision, but the numbers don’t lie. 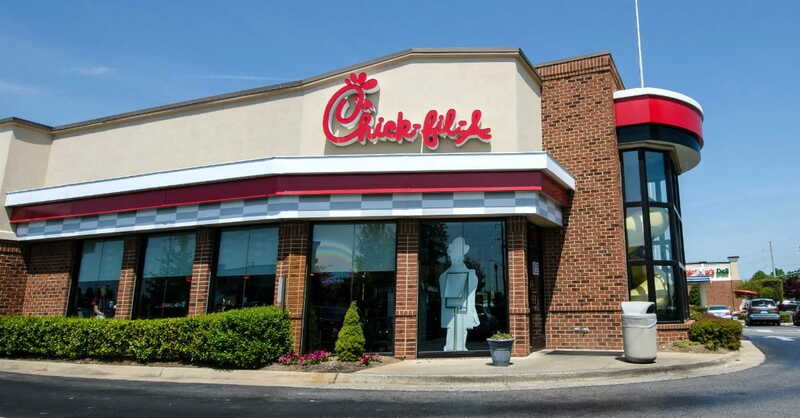 Chick-fil-A boasts more than $5 billion in annual sales. Chick‑fil‑A is one of the nation's largest privately held restaurant chains—with more than 1,800 restaurants in 40 states and Washington, D.C. (as of September 2014)—and the largest quick-service chicken restaurant chain in the nation, based on annual system-wide sales. He long believed that franchise Chick-fil-A owners, operators and employees should have an opportunity to rest, spend time with family and friends, and worship if they choose to do so. During an interview in 2009, Cathy said he never thought twice about being closed on Sundays. "I think, isn't that incredible, isn't that neat?" Cathy told ABC News. "That we can be closed on Sunday? We're generating more business in six days than all these other tenants are generating in seven? And we can be with our family." 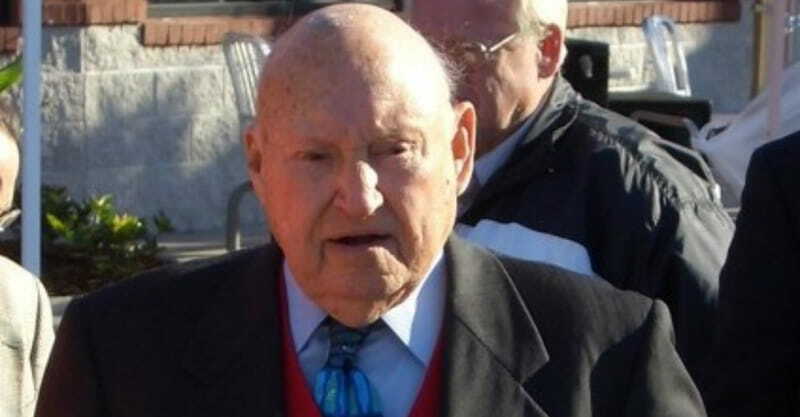 While Truett Cathy has feed millions of people chicken sandwiches over the years, most close to the restaurateur says feeding souls brought him the greatest joy. Cathy exemplified that he practiced what he preached by forgoing his salary when times got tough during the recession of 1982. Dr. Jim Denison, Ph.D of the Denison Forum on Truth and Culture says it would be a disservice to simply describe Cathy as a “rags-to-riches” success story. While Mr. Cathy has sold more chicken sandwiches than most can comprehend, Denison adds there is great paradox in his decision to be closed on Sunday. Slideshow based on the article "5 Things Christians Need to Know about Chick-fil-A Founder Truett Cathy." Copyright © 2019, ChristianHeadlines.com. All rights reserved. Article Images Copyright © 2019 JupiterImages Corporation.